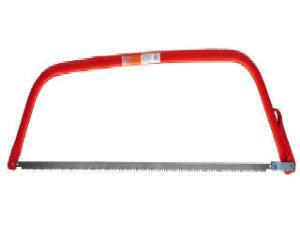 A bow saw is an ideal tool for moderate pruning and limb removal. Ours feature a strong tubular steel frame, an open throated bow for extra blade clearance to cut larger branches, and a tensioner to ensure a tight blade for accurate cutting. * Please call us for any questions on our bow saw large 36 inch rentals in Hillsdale and Ridgewood NJ.